The Uniboob Explained: What Causes Symmastia, and How Can It Be Repaired? Symmastia may sometimes be colloquially referred to as the “uniboob,” but it’s not about having only one breast. Instead, it’s when natural breast tissue or implants merge in the midline of the body, reducing the cleavage. Surgical procedures can be performed to restore the inner contour of the breast in patients who suffer from symmastia, also known as reduced intermammary sulcus. Symmastia correction generally involves a custom combination of surgical techniques to reposition the structures that support the breasts, reduce the tissue over the midline of the body, and reattach the skin between the breast to the breastbone. In this article, Drs. Gary D. Breslow and Jordan P. Farkas of The Breslow Center for Plastic Surgery in Paramus, New Jersey cover common questions about symmastia, its causes, surgical treatments, and some important things to consider before undergoing surgery. In recent news, English reality TV personality Charlotte Crosby spoke of her struggle with congenital symmastia. Symmastia can be a naturally occurring anomaly in the way breast tissue develops, or a complication following breast implant surgery. Whether natural or implanted, breasts hold their unique form through a combination of connective tissue which provides tension to maintain the shape of the breast, and soft tissue which plumps the breast and provides its pliable form. The skin over the breast molds to the soft tissue, but it’s not a structural support. Although rare, there are published cases of congenital symmastia. These anomalies occur when the breast tissue appears to be conjoined. This is usually because a web-like tissue remains in the midline of the body connecting the breasts over the breastbone, and not because a single breast grew in the center of the chest. Symmastia is most often the consequence of a technical error during breast augmentation surgery. In these rare cases, the natural support that holds the breasts to either side collapses because too much connective tissue was removed from the cleavage area. The inner contour of each breast is formed by two structural layers that curve around the soft tissue and attach to the breastbone. The inside structural support, or “breast “pocket,” is made of ligamentous connective tissue layer. The outside structural support is the pectoralis muscle. If the attachment of either layer to the breastbone is reduced and compromised during a surgical procedure, the skin can detach or elongate. This overdissection causes the soft tissue of the breast to fall inwards over the breastbone. Since the skin itself doesn’t provide structural support, it will fall inward with the breast soft-tissue. In more severe cases, the skin can even detach in the center and fall inward between the breasts. Symmastia is more likely to be a complication following breast augmentation surgery in women who already have decreased structural attachments to the breastbone. In such cases, a secondary revision procedure to correct symmastia may be required. What Does Symmastia Surgery Involve? Breast revision surgery techniques to correct symmastia vary depending on its causes, the patient’s overall health, and the severity of the condition. If you suffer from symmastia, it is therefore important to have a consult with an experienced plastic surgeon who feels comfortable treating this condition and can explain how the procedure will be tailored to your needs. All surgeries carry the risk of complication, and aesthetic procedures are no exception. Symmastia is an uncommon, yet highly undesirable result from a previous implant procedure — it’s normal to be disappointed about this. If your initial procedure was cosmetic, most surgeons will offer a reduced rate for revision procedures. However, your relationship with your initial surgeon will determine whether you feel comfortable talking to him/her about a second procedure, or would rather consult another expert instead. Plastic surgeons take pride in patient satisfaction, and your surgeon will likely want to help you achieve the best outcome possible with a symmastia revision procedure. However, remember that it’s always a good idea to speak with several physicians about any medical condition, or find another care provider if you don’t think you’re in good hands. Feel free to reach out to us for a second opinion — Drs. Gary D. Breslow and Jordan P. Farkas are widely recognized as leading authorities in breast enhancement surgery, and have succesfully performed revision procedures on numerous patients from New Jersey and beyond. When discussing surgical procedures for symmastia with your surgeon, he or she might use different descriptive terms to explain the procedure. One way to visualize the surgical anatomy of the breast is to think of the chest’s muscles, bones, and connective tissue as defining a “footprint” for the breast. Soft breast tissue or implants fill that footprint, and the skin drapes the soft tissue. 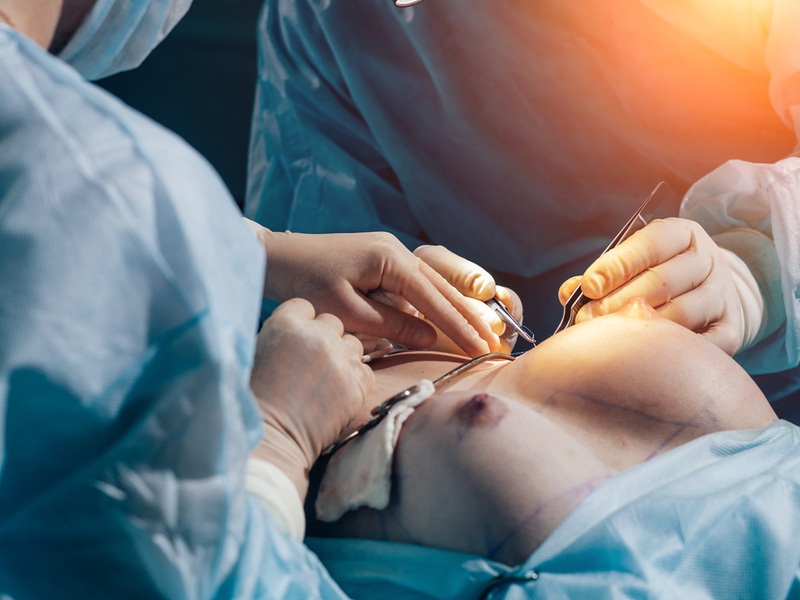 In general, a symmastia procedure will start with an incision over the center of the breast, since incisions on the breastbone or “sternum” are more prone to scarring. The surgeon will then move the structural supports of the inner breast to reshape the “footprint” and reattach these structural supports to the breastbone. Sometimes this involves a capsulorrhaphy, or rolling the inner side of the breast capsule to make a wider surface area for attachment. The procedure can also involve more complex reconstructive procedures, such as forming a new pocket on the inner curve of the breast. After the footprint of the breast has been reconstructed, your surgeon will mold the soft tissue of the breast by removing any excess soft tissue or scar tissue that has formed over the breastbone. Finally, your plastic surgeon will reattach the skin of the breast to the breastbone so that it drapes inward in the newly formed cleavage. As with any surgical procedure there is a risk of scar formation, infection, and body fluids collecting in the site of the operation. Skin incisions over the breastbone also carry an increased risk of scarring. It is therefore likely that the incisions will be performed over the areola instead. 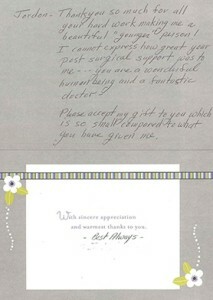 Your surgeon will go over all of this with you during your initial surgical consultation, but sometimes it helps to bring questions written down to your first consultation, and ask for printed materials to take home as well.